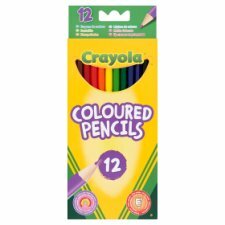 Get creative and start colouring for endless hours of artistic fun with this 12-pack of Crayola coloured pencils. Included with these crayons is a voucher for kids to go free to Odeon cinemas. We guarantee the quality of all Crayola products. If this product does not perform properly, please contact us. In the UK, call Crayola UK at 01702 208170, weekdays 9 AM - 5 PM local time.